HUGE. Project Canvas Gets the Go Ahead. Project Canvas, the working title for an attempt to create an open, internet-connected television platform built on common standards, has been given the go ahead by the BBC Trust. With its approval, the Trust did include a number of conditions. For example, users must always be able to access Canvas for free, although they may be charged for additional services from third parties, such as video on demand and broadband subscription. The Trust has also stated the BBC must not exceed the estimated costs by more than 20% over a five-year period. The full list of conditions and details on the technical specifications can be found here. Back in Februrary, we discussed the potential for this to transform the television landscape in the UK indefinitely. “Project Canvas is basically inventing the use of internet applications through your tv set. By plugging your internet cable in your set top box you get access to something which is similar to Apple’s App Store. Just like Apple, Project Canvas is just creating the platform and the accessory software development tools. And yes, if you’re thinking, this is Google TV competitor – you’re on the right track. 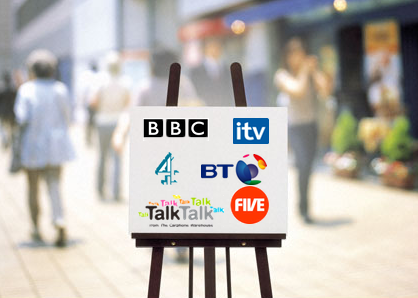 The Financial Times revealed that the name YouView was the most likely brand, having been registered as Intellectual Property by the group of broadcasters in April 2010. Read next: Why would three respected journalists claim incredible iPhone battery life when it's simply not the truth.